Having your projects done by a team which is halfway across the world seems not to be an easy job. Lots of challenges would frustrate you, such as the lack of face to face interaction, different cultural background, or time zone issue. 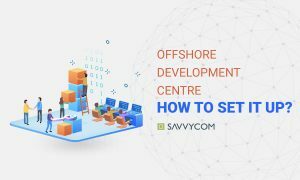 But don’t lose faith from offshoring, because we are sharing some tips to build a successful team of offshore developers and to maintain its high performance. Track the offshore process. Don’t assume anything. Ensure effective communication with offshore managers is the best way to save time in the offshore process. The managers may be the delivery head, the quality head and/or other ones. If you do this properly, these men will provide you with a strong support to be successful in the offshoring project. Please spend a time to study about the team. Though it is not an easy job because the team is a thousand kilometres away from you, but it’s worth trying! What you should do is to try to interact with as many team members as possible, to gain as many details about them as you can. One of the easiest ways is to send an occasional email to an individual team member or asking about a sticky problem. This action shows your trust in each team members of the offshore team. Obviously, the relation between you and the developers are the relation between customer-provider. However, the suggestion here is that, do not play the role of the “customer” of yours to the offshore team. That is because it creates a barrier to the onsite group and the offshore group. Communication between people in customer role and ones in providers role would not as effective, open and comprehensive as communication between equal partners or co-workers. Eliminating the ‘customer’ role will, consequently, bring you a better understanding offshore developers team. Even the most minor piece of information may be useful to your developers. They need to know about the client organisation, their business, the stakeholders and their expectations. It will also be better if they know about a business benefit that the project will bring to both the client and the delivery organisation. The value of information is undeniable, so please share to your offshore developers if possible. Sometimes, the offshore team members don’t want to be the first to speak out. They wait for your questions rather than bring up critical issues until it’s too late. And it is your responsibility to track the process and find out what issues the developers are facing and their predictable risk for the project. 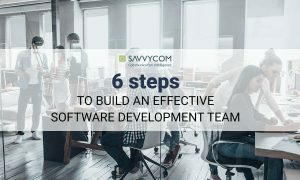 Assuming something unclear or skipping a problem which has not been fixed yet may destroy both your project and your offshore software development team.